Company - Nielsen Construction California, Inc.
From construction management to general contracting, Nielsen brings decades of industry experience to projects large and small. 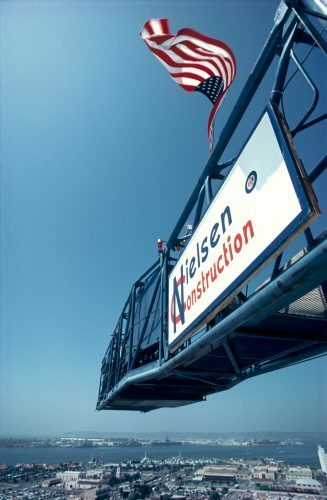 Nielsen Construction California continues the legacy of one of San Diego’s greatest construction companies. As early as the 1940s, S. Falck Nielsen (the original founder of Nielsen Construction), advanced the role of job superintendent through planning, coordinating, and expediting with project managers, subcontractors, and suppliers. Today, Nielsen Construction California is recognized industry-wide for its knowledge and panoply of skill sets. Backed by quality support from our corporate office, we continue to assemble talented teams dedicated to serving our clients. Nielsen continues to position seasoned superintendents and project managers on all its job sites with experience averaging more than 30 years. Many of our team members have served with Nielsen for over two decades. On-site project management teams are responsive and attentive to safety, quality control, and project progress. Consistency and adherence to high standards are imperative. We work to develop strong relationships with our clients, a majority of which become repeat-clients. We are grateful for the countless opportunities that allow us to build some of San Diego’s most iconic structures and that so many clients return to Nielsen Construction for their building needs. We look forward to serving both old and new clients in the years ahead as we continue to build the Nielsen Legacy.